Vinyl and CD Release ‘Project S’. Congratulations to those of you who managed to get one of the one hundred audio cassettes of ‘Project S’. They are now sold out. Due to popular demand I have decided to release the album on cd as well as vinyl. Available from July 13 at the North Sea Jazz Festival and your favourite record stores. First LP copies of Project S will be on colored vinyl and will be released by Music On Vinyl. 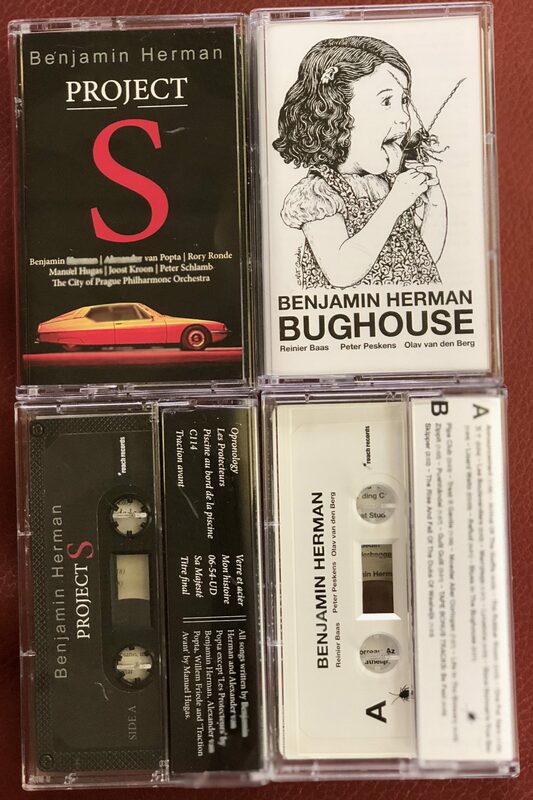 The complete Bughouse sessions with guitarist Reinier Baas, bassist Peter Peskens (Jungle By Night) and drummer Olav van den Berg (Lärm, Seein’ Red, MarxBros) are available on Audio Cassettes only. Later this year a selection of the 23 tracks will be released on vinyl and CD. 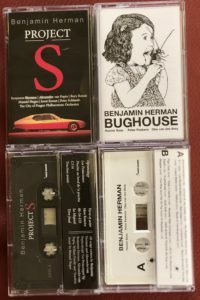 Orders and pre orders are possible through https://benjaminherman.bandcamp.com/album/project-s .